TASNEEF’s continuous efforts to support the business sector, with quality control certification and best practice models, are developed with an aim to support the national economy and give businesses a strong advantage in the face of international competition. Abu Dhabi: Emirates Classification Society, TASNEEF, has announced the official launch of “TASNEEF Business Assurance” which will offer training and certification for public and private sectors, with a special focus on performance, management, and quality standards. The new company will encourage best practice and help businesses achieve the highest performance standards through a strategy built around gaining higher revenues and returns from human resources. Tasneef Business Assurance will also help businesses apply government standards and improve management techniques to leverage their capabilities against international competition. 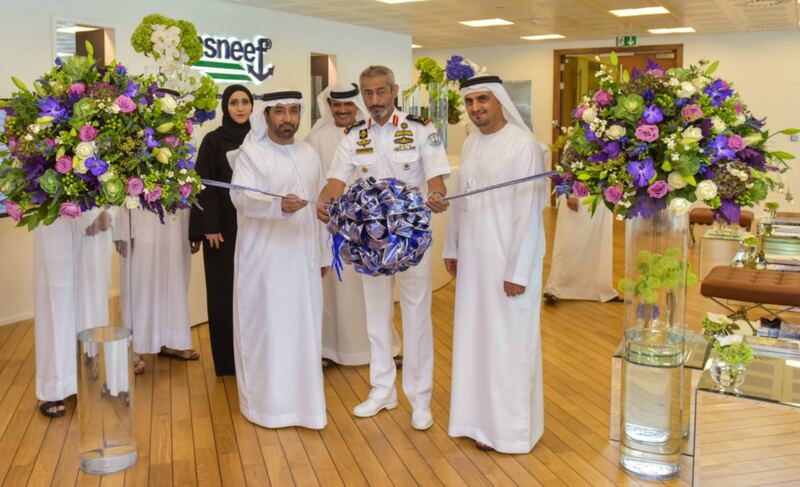 The announcement was made during the launching of TASNEEF’s new headquarters in Abu Dhabi’s Al Dar HQ building, where VIP’s and key players in the UAE’s maritime industry were in attendance. TASNEEF Business Assurance has recently collaborated with the Jordanian Academy of Maritime Studies in Jordan for a workshop that demonstrates their services and highlights the opportunities available for business assurance in both countries. Emirates Classification Society “Tasneef” was established in 2012 and is headquartered in Abu Dhabi. The main activity is the Classification of ships and offshore platforms. Tasneef is already a member of the Dubai Council for Marine & Maritime Industries, which is an umbrella body promoting the interests of the industry.